Accurate and up to date sales data. 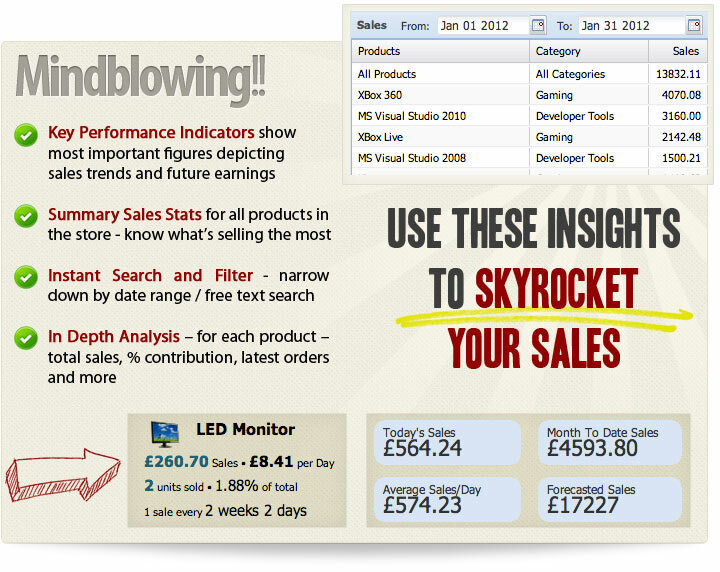 Product wise sales, key performance indicators, instant search and lot more. 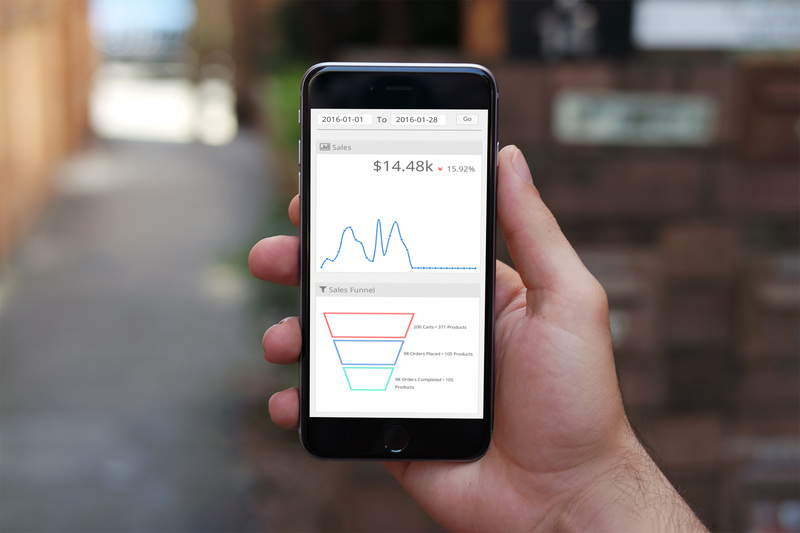 We wanted to take WooCommerce Reporting to the next level. Putler has most of the features of Smart Reporter and a lot more. 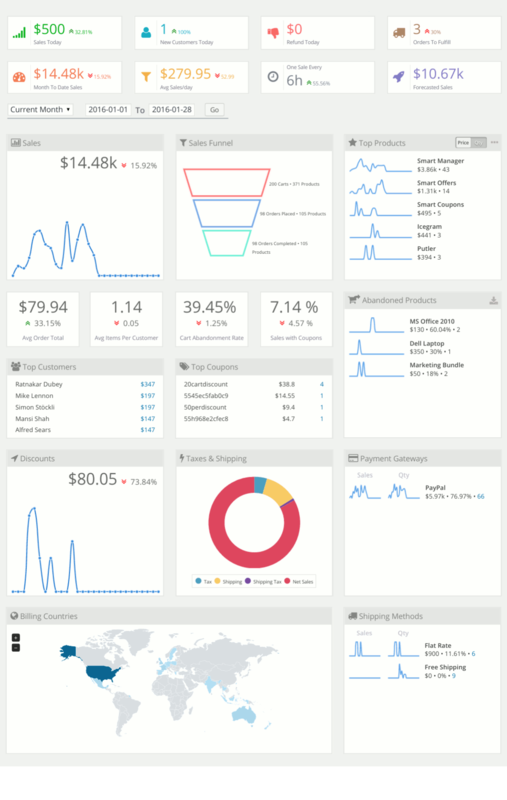 Smart Reporter provides a comprehensive products performance dashboard. You can define a time range and use search to filter products to review. 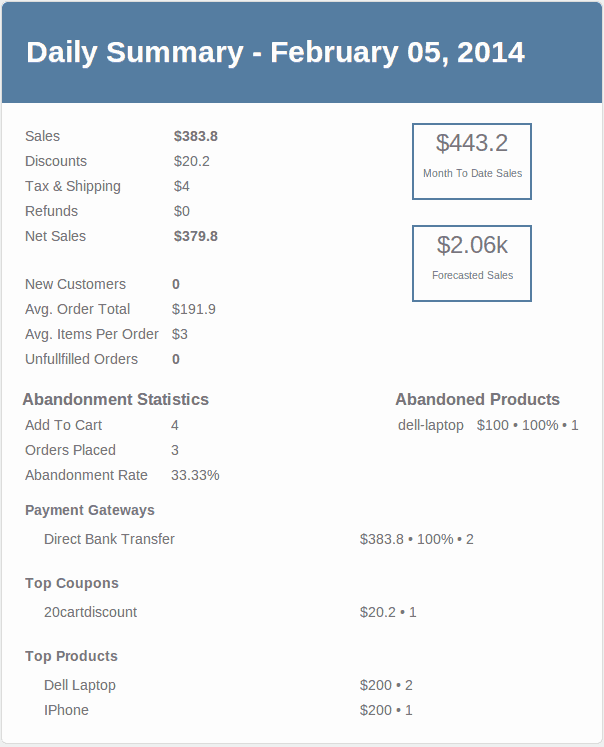 Products Dashboard gives you in depth analysis of product sales – product names, their category and their sales amount for the selected criteria, quantity sold, frequency of sales, product’s contribution to total sales, last few orders and more. You also see a sales trend chart so you can easily spot the highs and lows! Quickly discover top selling products, laggards, and how well a product performs over a given time easily with this add-on.